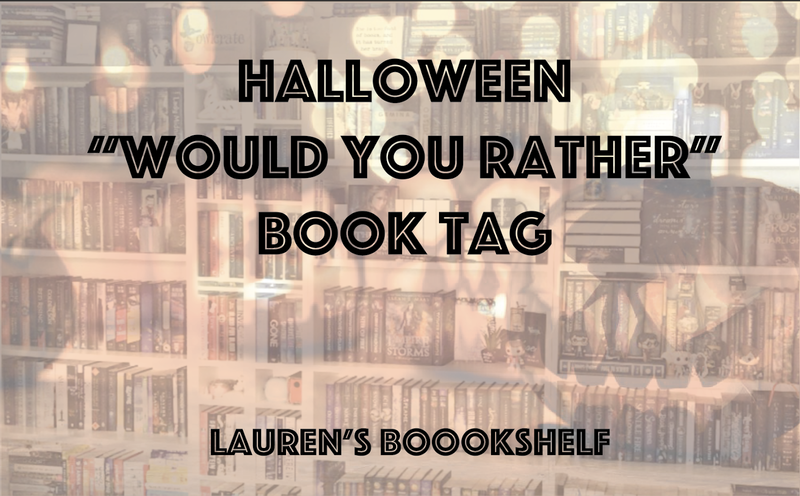 Lauren's Boookshelf: Halloween Book Tag: 2018 Edition! Well hello there! Happy Halloween everyone! How are you spending your day? I'm currently just chilling in my comfy chair and planning out my study schedule for this afternoon and then later today my friends and I are getting food delivered and watching Halloween movies! Last year I did a Halloween book tag, but since I love this holiday I decided to go ahead and do another one. I was able to find a different version of the Halloween tag. It's official name is: The Spooky Would You Rather Book Tag originally created by The Book Pusher. Supernatural books for sure! I've only read about three thrillers that I've actually enjoyed, the others have just been colossal disappointments. However, I've read so many supernatural books that I've loved, or at the very least enjoyed, so definitely supernatural for this one. I don't really know! I haven't really read a book that focuses on either. I guess I like zombie movies more, so we'll go with that one? This is largely dependent on what I'm basing my idea of a vampire or a werewolf off of. For instance, if we were talking about Dracula vs Jacob Black, my pick would be the werewolf. However, if we're talking the vampires or werewolves from The Vampire Diaries, I'd have to go with the vampires! Witches! I can only think of one book where I liked a demon character but I have multiple examples that I could pull up where I loved the witches in a story! 5. Would you rather read a book with 13 chapters or a book with a black cat on the cover? I'm not superstitious and 13 is actually my favorite number, but I think that unless the chapters are really long, a 13 chapter book is just too short for me. Therefore, I'd go with the black cat because maybe the book would be longer! 6. Would you rather read a spooky book in the dark with only a candle for light or by yourself in a locked brightly lit room? So I'm a big baby when it comes to being scared. It isn't my cup of tea. I appreciate slightly spooky shows and books, but I cannot do actually scary things so I would definitely be in a brightly lit room. I mean, I watched 47 Meters Down, which isn't even a horror movie, with all the lights on and subtitles while it was on mute. 7. Would you rather face your worst fears or be trapped in the mind of a killer? Well, my worst fears are pretty terrible and I get anxiety just thinking about them, so I think I'd rather be trapped in the mind of a killer because maybe when I'm no longer trapped in their mind I can help the police catch them? 8. Would you rather watch a scary movie or read a scary book? Scary books because I can easily put the book down at certain times and detach myself from the pages, but with movies, I have the intense music doubling the scariness and I can't handle that! 9. Would you rather read spooky books during the fall time or all year? I mean, I don't really read spooky books that much but all year! However, I enjoy it more when it's in the fall months when the leaves are changing color and I'm curling up under my blankets. 10. 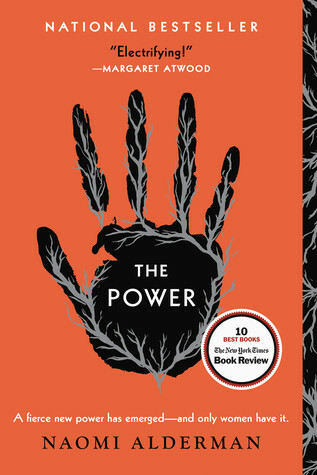 Would you rather read 10 spooky books in October or 10 spooky books all year? Definitely the later. Like I said, I'm a wimp and I'd like to spread out the spookiness! Thanks for reading! Happy Halloween!